Making music isn’t only fun, but it’s also a way for families to learn, grow and create great musical memories together. 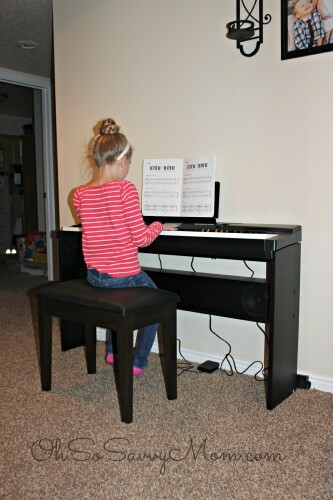 Casio’s new Compact Grand Piano CGP-700 is a family-friendly piano that adds flexibility and fun to keep kids engaged. Every year for the holidays we like to get a “family gift.” Sometimes it’s a bunch of games and movies, a family vacation or something we need in the home. My kids are getting old enough that they can start learning to play musical instruments. This year our family gift is going to be a family instrument! 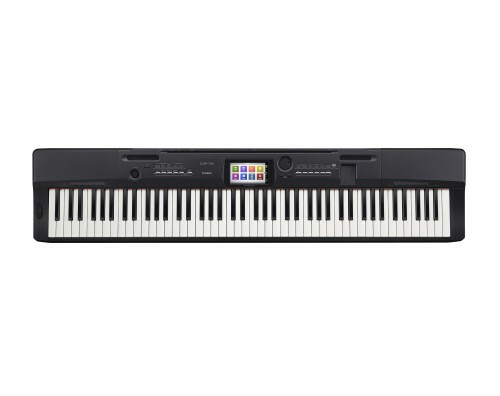 · Tech Meets Traditional: Casio’s Tri-Sensor Scaled Hammer Action Keyboard, with 88 touch-sensitive keys, is based on the keyboard of a grand piano and provides an authentic playing experience. Because there are three sensors, instead of the conventional two, key movements can be measured precisely. 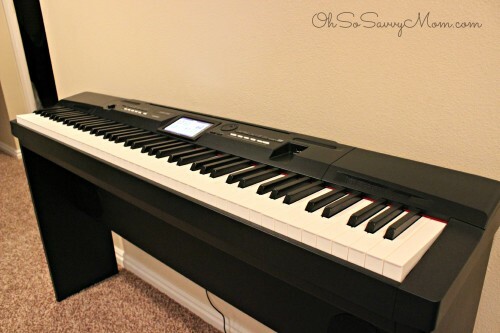 · Small But Mighty: The superior design and feel of the CGP-700 is comparable to a standard grand piano, but is in a compact size ideal for the smallest rooms. It can also be used with or without the included stand, for easy portability. · Easy to Use: Casio’s Color Touch Interface (CTI) is easy to navigate and has a color graphic touch display that provides access to every feature. · Sound: The CGP-700 offers an amazing sample of a 9’ concert grand piano, as well as hundreds of other built in sounds including guitars, basses, strings, brass, organs and more. Stereo concert grand piano with four (4) dynamic levels. My daughter has already started playing the Compact Grand Piano. Isn’t she adorable! The Casio CPG-700 is great for our home. It is smaller and lighter than a full size piano making it easy to move and allowing it to easily fit into almost any area in our home. Plus there is no need to tune it ever! It will always sound amazing! And even though it is a smaller in size than a standard grand piano, the sound is amazing! It sounds like a real grand piano! I really like that you can control the volume on it and the kids love changing the different sounds. The features have made learning fun for the kids. They get excited to play! I didn’t really like that the cords hang down the back of the piano along the wall. But my engineering husband has already figured out how to attach them on the back of the piano and run it down the leg. But then you still will have one cord hanging down with the pedal. There also isn’t a cover for the keys. They only function I think a cover for the keys would serve would be to keep dust off of it so it’s really not a big deal to not have one. All in all this is a great piano if you’ve been looking around. There are many different sound options and variations. You can even record your own music on it. I love that it is smaller and more convenient for our home. We have been very pleased with it and the kids are loving learning to play on it. 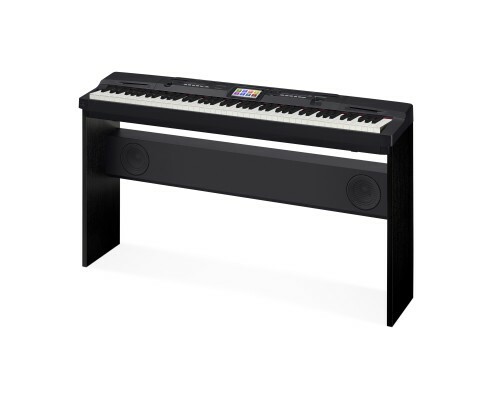 If you’ve been thinking about a piano for the family and home you should definitely look into Casio’s CPG-700. It would make the perfect Holiday present that you will use all year long!